A natural entrepreneur since her youth, she is committed to “thinking outside the box”, problem-solving and providing a fresh set of eyes and ideas to help artists, record labels, corporate brands and Non-profits build brand awareness to maximize their exposure and profits worldwide. The brands she has worked with include H&M, Walt Disney Parks, FILA China, Swisher Sweets and many others. As a speaker she brings a wealth of knowledge to every audience and is able to motivate entertainers and entrepreneurs to master the art and business of their industry. 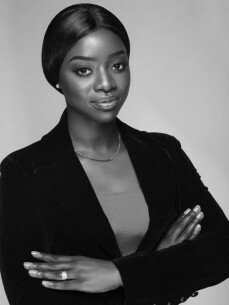 She has a B.A in Public Relations & Master’s Degree in Entrepreneurship, which allows her to speak about the importance to building a platform that is sustainable enough to benefit your future and family legacy.